Kevin Mitchell tells Sky Sports about making a name in London, the threat of early fame, brutal battles at The O2, and why Ted Cheeseman is his natural successor. Mitchell's tinderbox career had burnt out for a few years by the time he sat across from the latest local hopeful, a brave, sometimes reckless youngster with a similar appetite for battle. Punishing defeats had been doused on wild night outs as Mitchell came within seconds of world title glory, and he raised his gravelly voice when confronted by Cheeseman's rigid lifestyle. "Ted doesn't even have a chocolate, he never has a sweet, never has a fizzy drink," growled Mitchell. "I remember I was in Sheffield with him, he took his top off, and we said 'bloody hell Ted, you've got a body like rubber.' His body is immaculate, he's in such great shape. "He doesn't touch a fizzy drink, and if you ever see him out and about, you ever see him in a bar or a restaurant, he will not have a fizzy drink, he will not have a sweet." 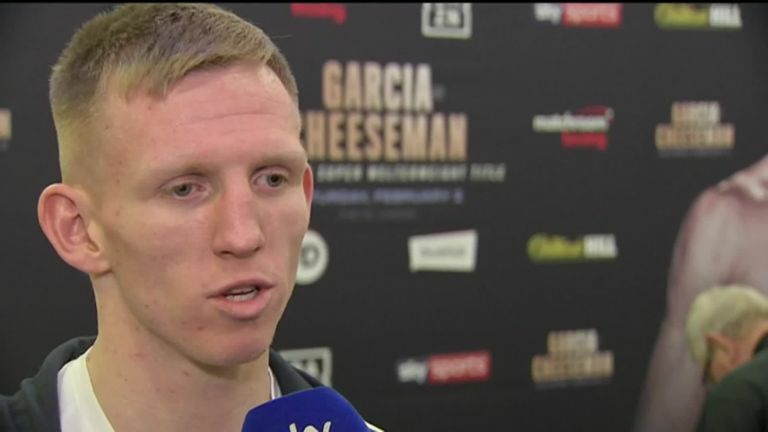 The Bermondsey fighter has already become the British champion, well over a decade after Mitchell claimed the Lonsdale title following a brutal battle with Carl Johanneson. Mitchell had soaked up the adulation of the crowd at The O2, in a supporting role to David Haye's demolition of Enzo Maccarinelli, and the East Londoner offers insight into the gladiatorial atmosphere that awaits Cheeseman at the same venue. "It's a big occasion, his first time topping the O2 Arena," said Mitchell. "You forget he's only a young kid. I remember I was 22, I fought at the O2 Arena and I won the British title. "The whole arena clapped for me, because I won the fight in a big battle, a big war. Got my jaw busted, broke both my hands. He knows he's got that sort of job in hand. "There's the pressure, because you have your own expectations, the fans have their expectations, and you're obviously in the middle of London, so it's a big thing." A domestic rivalry with John Murray was emphatically settled by Mitchell, who clinically dissected the Mancunian in a stoppage victory, and two fellow Brits are currently calling the name of Cheeseman. 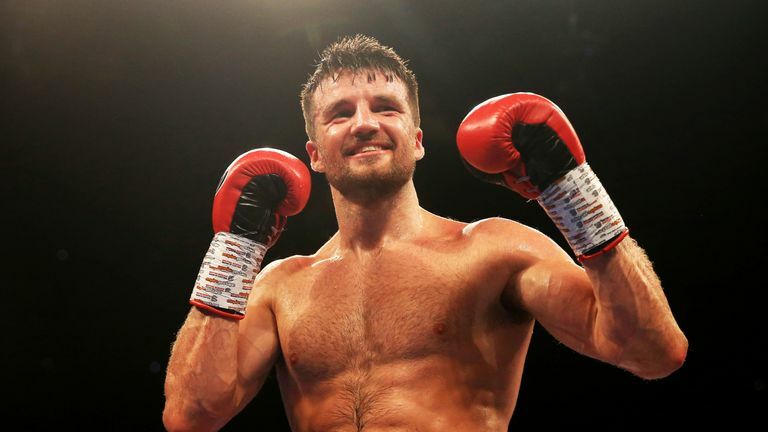 Anthony Fowler, the fiery Liverpudlian with the Team GB grounding has staked his claim as the best rising contender, while Scott Fitzgerald, another accomplished former amateur is also a potential foe. "I think the Anthony Fowler fight will be a cracking fight," said Mitchell. "I don't think it should happen just yet. That should be going for a world title, that sort of fight. "They have genuinely got a bit of dislike for each other, but when you've shared the ring with someone, so many rounds, you take punishment off each other - you end up becoming friends. "I ended up becoming good friends with John Murray. Things change." Trainer Tony Sims offered timely guidance to Mitchell in the closing stages of his career, harnessing raw talent for a late world title bid that would be denied as WBC champion Jorge Linares outlasted Mitchell in a gruesome fight. And Cheeseman, with Sims at his side, has managed to shun the early trappings of fame that nearly consumed Mitchell. "You go in restaurants, everyone knowing who you are. You could be anywhere, and people are watching. It's not really nice. I struggled with it, so I used to go on the booze hard, and things like that. "That's the way I dealt with it, but kids these days, they are all-round athletes. The way Ted is as a young man, he's just taking it in his stride. He'll take it as if it's nothing." Cheeseman will soon stride through the crowd, approaching a contest that will offer blunt answers about his ambitions, and Mitchell plans to join his growing fans, offering final words to a likely successor. "Go out there as if you already own the belt, as if you're the champion," he advised. "You own that ring and that ring is yours. "You're the one that everyone is there for."